This is not the first time the Obama Administration has helped these groups with arms. He helped them take over Egypt and he helped them take over parts of Libya – VIDEO (Megynn Kelley and Marc Thiessen from AEI). The Muslim Brotherhood is the most organized group in Syria at the moment. 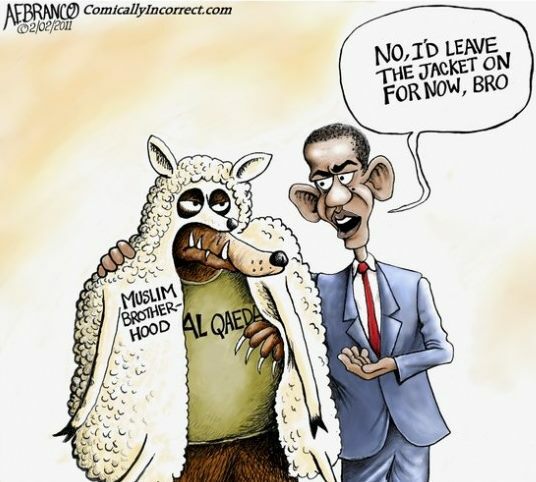 The dictators in the Middle East kept the Muslim Brotherhood and the Al-Qaeda’s at bay. Mubarak was critical to maintaining the Israeli/Egyptian Peace Treaty and many of the worlds terror groups want to replace the Arab dictators with Sharia inspired regimes. With all of this information now known so publicly, advocacy of Syrian intervention is not only irrational, it aids our enemies and Israel’s enemies in the middle-east. This entry was posted in 2012 Primary, Dirty Tricks, Foreign Policy, Global Security, Israel, Jihad, Lies, Obama, Treason, True Talking Points and tagged christians in egypt, libya, middle-east, muslim brotherhood, niall ferguson, politics. Bookmark the permalink.